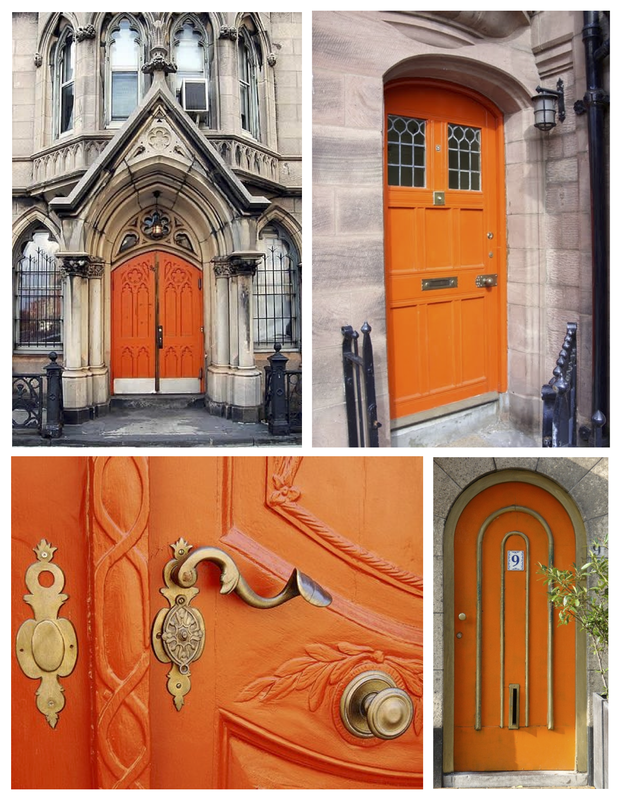 The vibrant and brilliant orange door. 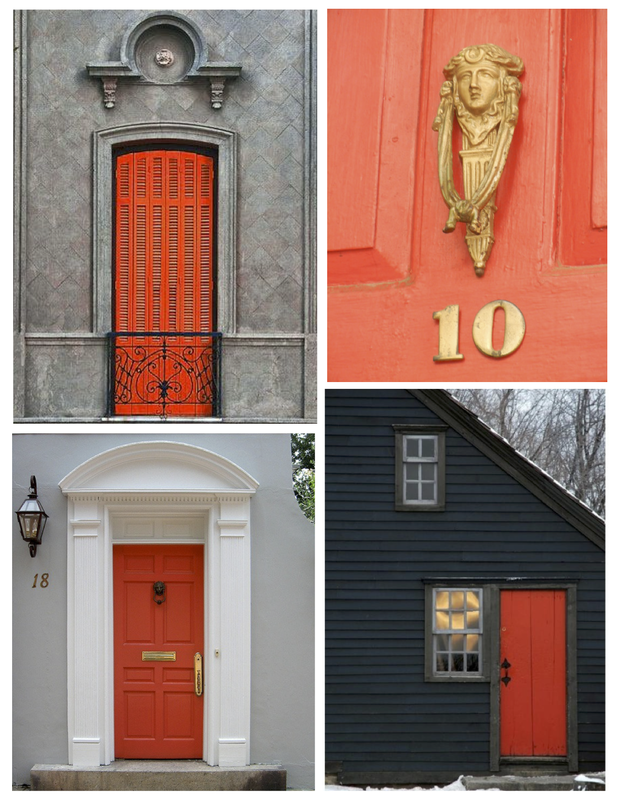 Painted the color of carrots, pumpkins and saffron the orange exterior door provides unexpected delight. 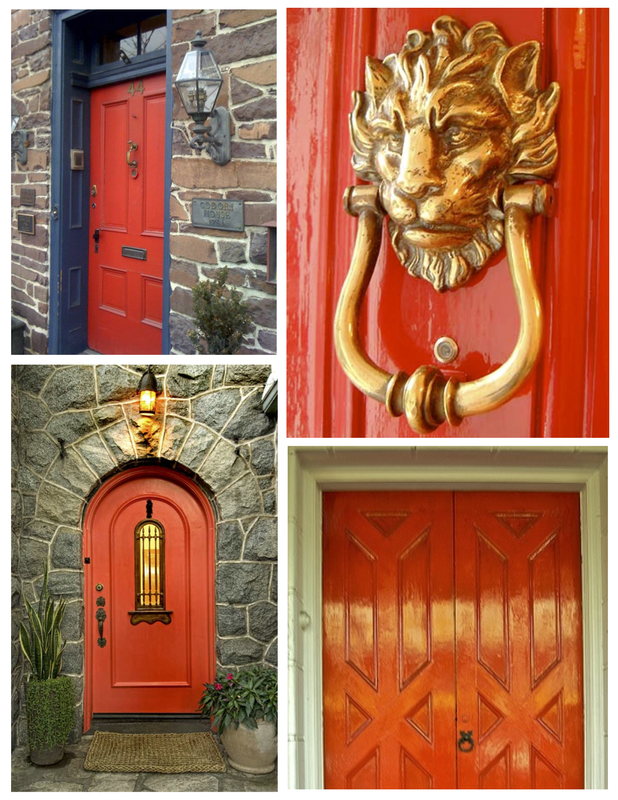 The exterior door, layered in a hue that ranges in the color spectrum between red and yellow, the color hue orange provides a bright statement of visual interest and distinction. 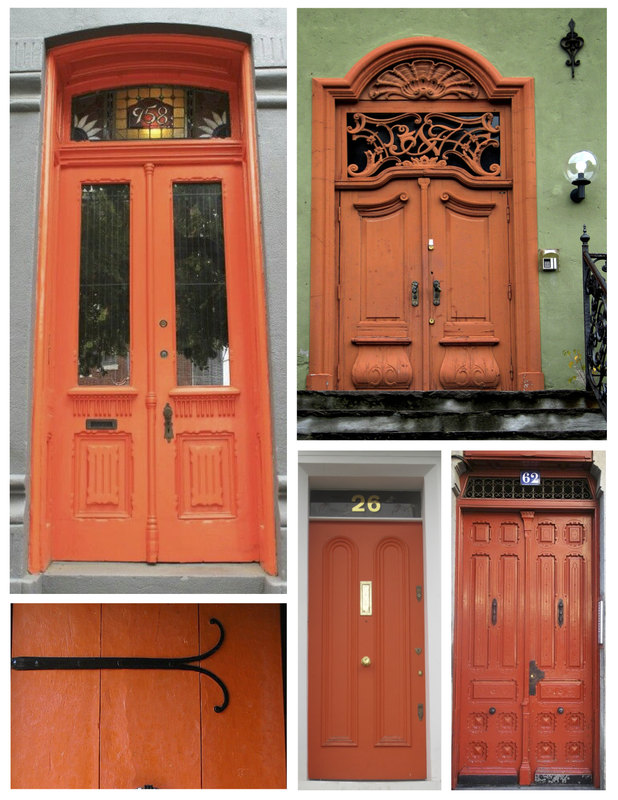 The color orange painted on a front door seems to illuminate the world with pure, extraordinary color. An energetic and uplifting color that perhaps brings us exhilaration and bliss. The color orange existed in Europe before the late 15th century but remained nameless. The color hue was simply referred to as “yellow-red”. Who knew? It is stated that both Spanish and Portuguese merchants brought the first orange trees to Europe from Asia during the late 15th and early 16th century and the new name was given of “naranga” which would eventually become referred to as “orange” in English. Of interest, in parts of Germany, the Netherlands, and Russia, the orange fruit was and is still said to be called the “Chinese Apple”. Again, who knew? 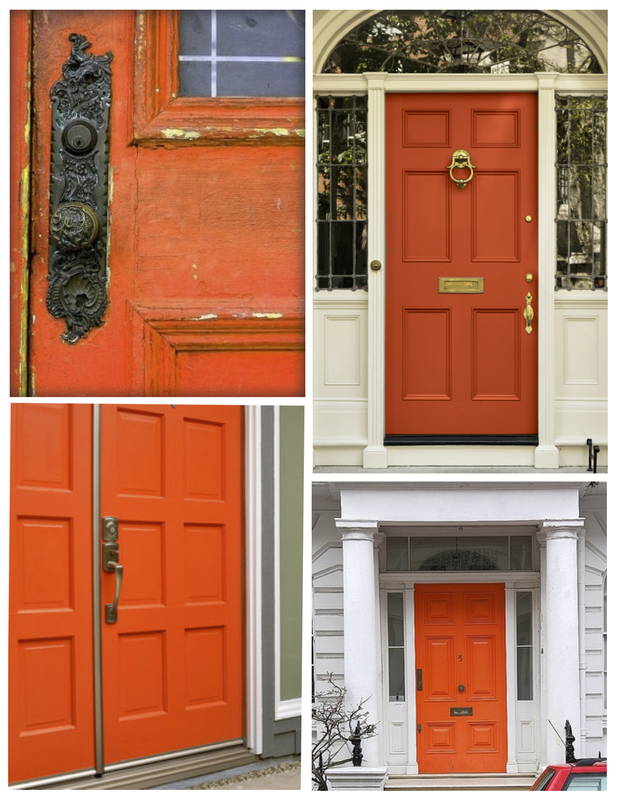 For certain, the vibrant, brilliant orange and stunning red-orange hue demands attention. 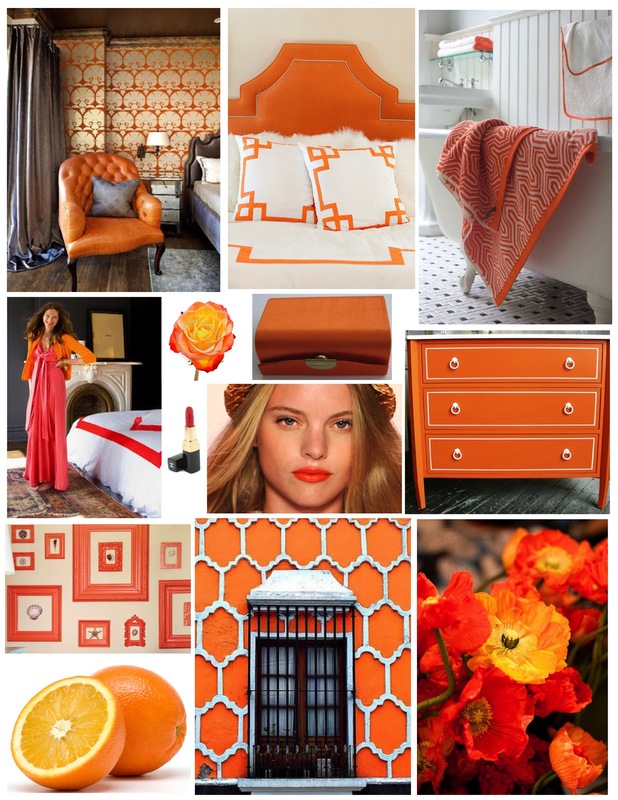 The brilliant & bold earthy hue of orange certainly shares the attention of red. Bold and bright, indeed. During the white and gray winter days of January, a pop of bright color adds a needed fresh burst to our lives. 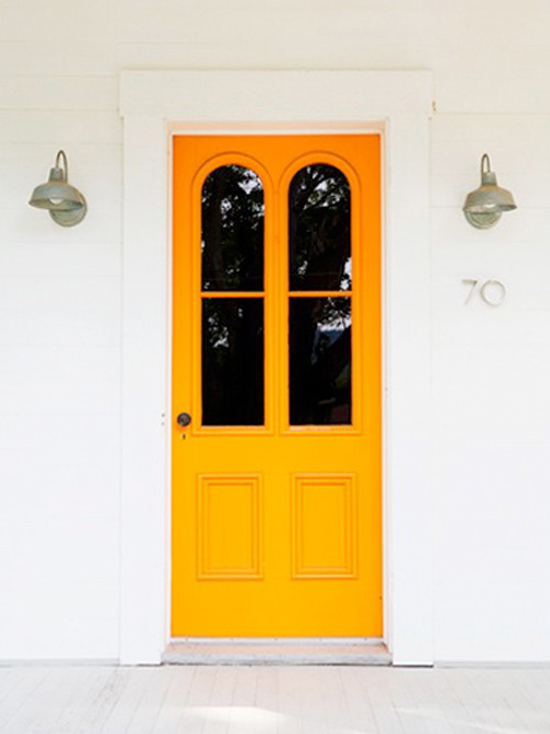 In the absence of the holiday-dressed home, this color is the antidote needed. Although the color orange is commonly thought of as a Summer color, it is such a beautiful injection into our lives during the winter. Orange and coral shades are warm, bright and fresh. The bold, cheery welcome can do wonders to our spaces and add a fresh edge to our attire. Whether it is an orange belt, purse, a tube of the perfect lipstick or a piece of furniture or wooden frames transformed by paint, rethink. Add a toss pillow or new towels. A bowl or platter filled with the fresh color of oranges will do the trick, too. Visit your local florist market and bring into your home the “Pop” of color in flowers that we all so desperately need during the long January days and nights. And speaking of long, winter nights…don’t forget to add candles. And no, they do not have to be orange!